Commodity outlook and trading ideas by Bhavik Patel - Sr. Technical Analyst (Commodities), Tradebulls. Indian rupee is oscillating between 71.30-71.80 against the US Dollar. Volatility has increased because of India-Pakistan escalation. The overall trend of rupee remains strong against the US dollar. If we look at Dollar index, it has breached 96 levels, so we expect further weakness in the greenback but any tension flare-up between the two countries may lead to rupee depreciating. The recent high of 71.80 is proving to be strong resistance and if rupee breaches and sustains above that level, then we may see trend reversal. Till then, it is sell on rise. Gold in dollar terms looks to be trading sideways in the past four trading sessions: it is trading in a range of $1,320-$1,328. If we see Gold in COMEX breaching $1,320, we may see correction till $1,302. 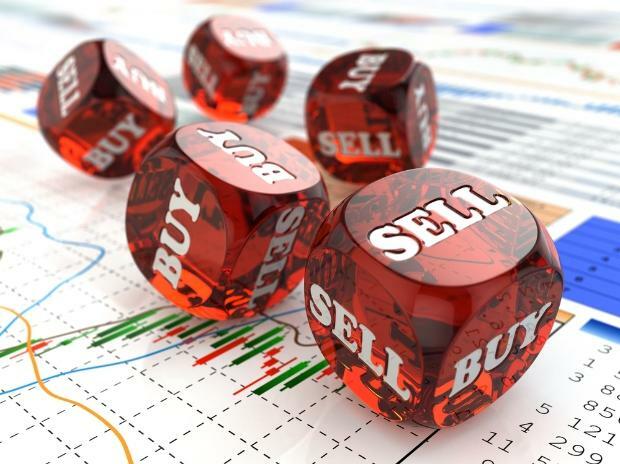 In MCX, because of rupee weakness, short term support comes at Rs 38,200 and any longs should be held with a stop loss of Rs 38,200 and a target of Rs 33,650. US President Donald Trump's extension of the March 1 tariff deadline has weakened the Dollar, driving gold up. Fed minutes are also supportive to gold. A commonly held belief among investors and analysts is that the gold price will suffer if the US-China trade dispute is amicably resolved. Silver has resistance at Rs 40,400 and we would take a long position above that level. Breakdown below Rs 39,900 will trigger some more profit booking. Silver is stuck between resistance and support so we would wait for either level to be breached for taking trades. Oil futures on Monday cracked more than 3 per cent on Trump’s tweet to OPEC asking it to relax price hike. US output hitting records of 12 million barrels per day is countering the positives from easing trade tensions, sanctions on Iran and Venezuela and OPEC cuts. Net speculative positioning surged in mid-February nevertheless; newer speculative data indicates unwinding bets on crude futures. Follow-up selling was missing in crude oil and we expect it to trade in a range of $64-$68 in the coming weeks. Copper has failed to breach level of Rs 470 since the last three trading sessions. On the daily chart, bearish candlestick indicates that buying momentum may have exhausted. RSI-14 also has moved above 70, indicating overbought status and has now settled around 67, which is an another sign that upside momentum has exhausted and some mean reversion may take place. We recommend sell at current levels with expected move till Rs 462 and stop loss at Rs 470 closing basis. Zinc has settled above its 200-DMA (day-moving average). It is currently trading above all its important short term moving averages, indicating upside momentum and bullish bias. 200-DMA comes at Rs 194 which would act as a support. RSI-14 is at 62 and has shown no sign of divergence. So we expect the current trend to continue. Near term swing resistance comes at Rs 201, so we expect the metal to test levels of Rs 200-201 and so long can be initiated with expected move till Rs 200 and stop loss at Rs 194. Disclaimer: The analyst may have positions in any or all the commodities mentioned above.